Call us as soon as possible after you have spotted mold in your home. If left alone, mold can cause serious damage and present health threats to you and others. 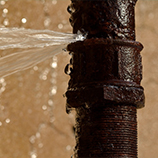 If there is a leak in your home that is causing mold to grow and needs to be dealt with, it is important to identify the problem and fix it as soon as possible. All Clear offers testing, inspections and effective solutions that will rid your place of harmful levels of mold and fix the issue that is causing the mold in the first place – odds are there’s something causing excess water where the mold is growing. Our mold removal company pays extreme attention to each home, ensuring dangers are completely removed from your home and that all remediation is complete. Some types of mold can be incredibly toxic, and many can cause structural issues to your home. You might only be experiencing headaches and coughing or other cold and allergy-like symptoms at the onset of mold, but they can escalate quickly into serious health problems. 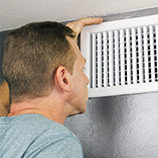 Difficulties breathing and serious skin irritation can result from ignoring mold for too long.